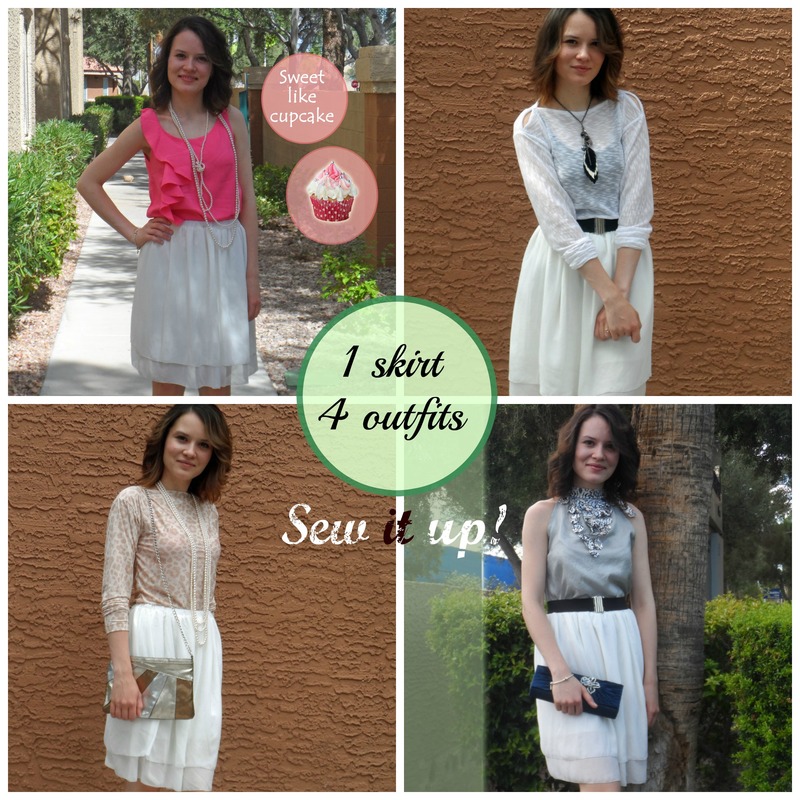 Sew it up: 1 skirt – 4 outfits! – Go ask Alisa – DIY capsule wardrobe one stitch at a time! If you’re sewing professional or an enthusiast you probably know the feeling of achievement the minute you understand that everything that is today on you is made and designed by You. Well, maybe apart from shoes and handbag, which is also sometimes a product of your creativity. The moment someone asks you: “Did you make that?” and you feel proud, very proud. I love that feeling, it is certain trophy of achievement, a certain indicator. As much as I love to sew and create I still a very practical person. I like flexibility in my clothing, meaning that I can combine multiple outfits with same piece and make it look great by only changing couple of accessories and top or bottom. This is a showcase of 4 different outfits entirely made by me that feature the same skirt, but have different style edges and approach. In first one from the left I am ready to go to an elegant night out, in second I a, ready to hit the town, in pink and white I am ready for hot summer days and in the last one I feel cozy and super casual. Which one do you like?